The Storm Rising event will run from April 16 to May 6. Scientist Moira is the latest legendary skin revealed for Overwatch’s upcoming Storm Rising event. It kicks off on April 16 and revolves around a new Overwatch Archives event. Scientist Moira isn’t the most exciting legendary skin, but it will surely be a must-have for keen enthusiasts of the game. To go alongside the new Moira skin, a Clown Junkrat skin was revealed yesterday, and a Talon Baptiste skin was introduced on Wednesday. The new Moira skin isn’t revolutionary, but it does give her a neat and tidy aesthetic. 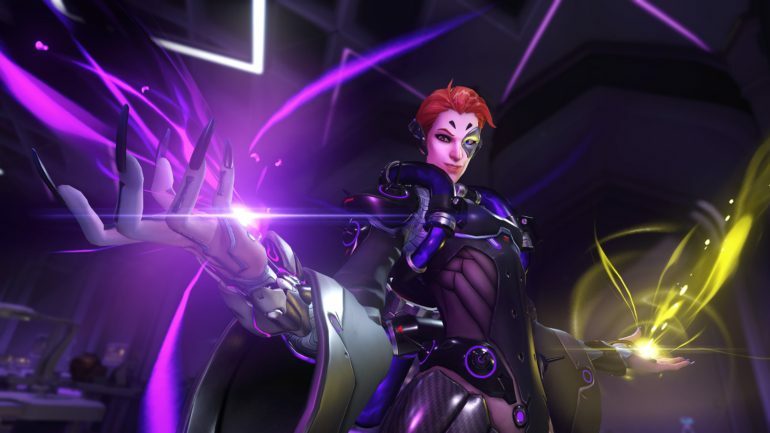 Scientist Moira could be what players who prefer a refined skin are looking for, though. She’s wearing a lab coat and looks like she means business. Printed on her back is the word Cyro, perhaps referring to Mei’s Cyro-freeze ability, cryotherapy, or something else entirely. It may even be linked to the Storm Rising event itself. She isn’t a part of the upcoming mission, however. Tracer, Winston, Genji, and Mercy will be the main protagonists this time around. The Storm Rising event will run from April 16 to May 6 and full details will be announced shortly.